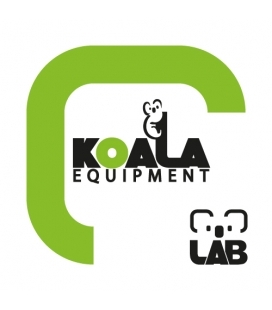 KOALA EQUIPMENT continuous belay system enables users to avoid falls at height. It is designed for obstacles with no more than a 2° or 3.5% slope. 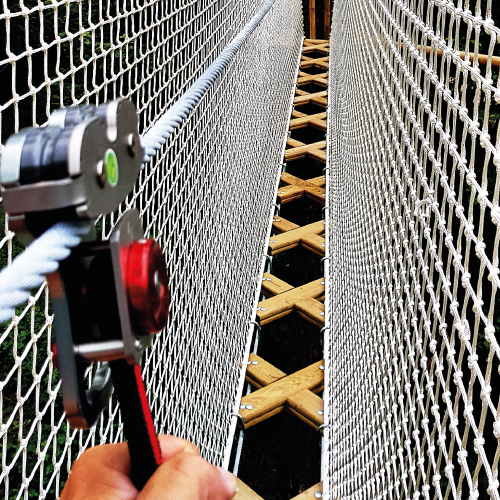 For obstacles with a greater slope such as net bridges, stairs with handrails...., users’ safety must be ensured by the obstacle itself (net, handrail....) or with a fall arrester. In these cases, the continuous lifeline does not ensure safety but simply allows for continuity of the lifeline. On vertical activities, ascending or descending, the SWITCH must be associated with a fall arrester or a descender. It is your responsibility to check that these devices are compatible. For pendulum jumps (Tarzan swings) the SWITCH must be associated with the jump rope.